Late check out (after 11:00 AM and before 12:00 PM) may result in a fee. - If cancelled or modified up to 3 days before date of arrival, 100 percent of the first night will be charged. - A security deposit of THB1,000 is required upon arrival for incidentals. This deposit is fully refundable upon check-out and subject to a damage inspection of the accommodation. - 3% extra is charged for credit / debit card payments. - No drugs or weapons are allowed in the hotel. Police will be informed of any violations. - For dormitory guest, Please provide your own padlock. If you do not have a padlock, we sell them at the reception. Under no circumstances can we take responsibility for any belongings lost/damaged or stolen in dorm room. Please use a safety deposit box provided to store your belongings. (1) A child over 7 years is charged THB 250 per night when using existing beds. (2) A child over 12 years is charged as adult. - There is no capacity for extra beds in the room. 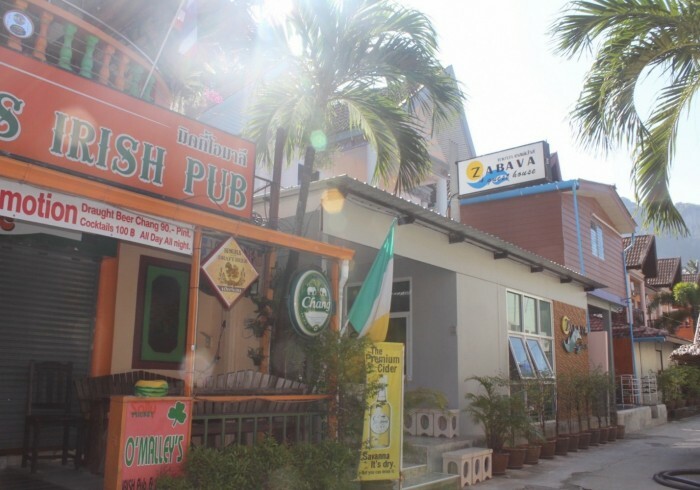 Offering quality accommodations in the shopping, restaurants, business district of Krabi, Zabava Guest House is a popular pick for both business and leisure travelers. The excitement of the city center is only 15.2 Km away. No less exceptional is the hotel's easy access to the city's myriad attractions and landmarks, such as Ao Nang, Railay, Nopparathara Beach. The facilities and services provided by Zabava Guest House ensure a pleasant stay for guests. To name a few of the hotel's facilities, there are smoking area, shuttle service, Wi-Fi in public areas, laundry service/dry cleaning, airport transfer. Experience high quality room facilities, including refrigerator, shower, air conditioning, in room safe, internet access – wireless (complimentary), to help you recharge after a long day. The hotel's massage are ideal places to relax and unwind after a busy day. Discover an engaging blend of professional service and a wide array of features at Zabava Guest House.